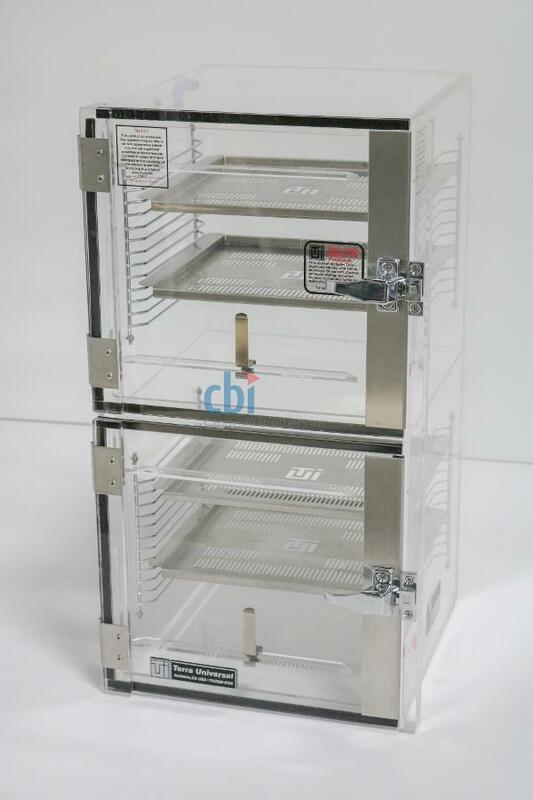 In addition to this Terra Universal Inc. 1946-00, Capovani Brothers Inc stocks a wide range of used dry box, desiccator dry boxes. Typical manufacturers include Air Control, Inc., Contamination Control, DMS, Laminaire, Plas Labs Inc., and Terra Universal. Door gaskets will be replaced at the time of purchase.